Columbia Fire Protection Ltd. offers a one year guarantee on all completed installations. Our guarantee includes 24 hour, 7 day a week emergency service. 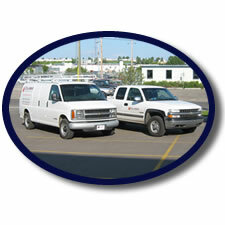 Columbia Fire Protection Ltd. is commited to quality workmanship and exceptional service. It's the way we uphold our pledge to exceed your specifications and provide the best and most cost effective service in the fire protection industry. At Columbia Fire Protection Ltd. we believe in using quality materials that meet or exceed standards set by UL (Underwriters' Laboratories) and FM (Factory Mutual) to protect the integrity of your project. We are members in good standing of the National Fire Protection Association. As members we ensure we have access to the latest development in fire protection technology, regulations and strategies. Columbia Fire Protection Ltd. hires journeymen sprinkler fitters that are licensed nationwide. With over 100 years of combined experience, Columbia Fire Protection Ltd. is committed to quality workmanship and integrity.